I am an expert in teaching and learning - specialized in e-learning and ICT in education and professional development. I have worked mainly as a self-employed trainer for the past five years. I also work as part-time expert and teacher at the School of Professional Teacher Education at TAMK - Tampere University of Applied Sciences and during spring 2018 also at OAMK - Oulu University of Applied Sciences. 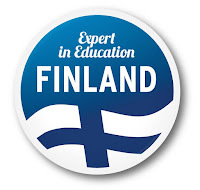 I also work as part-time expert in digital pedagogy at Kiipula Vocational Collage. I have done my master's degree in adult education and worked with continuous professional development for more than 15 years. I speak Finnish, English and some German and Swedish. for the BETT Show 2015. Show for the fifth time. Since 2009 my main areas have been working with ICT in education, e-learning, social media and mobile learning. I have worked with companies, public administration, organizations and especially with educational institutions - from elementary to higher education. My previous work experience includes working at the Brahea Centre at the University of Turku, Center of Educational Technology at the City of Tampere and at the Faculty of Education in the University of Tampere. Our unit at the university educated, researched and developed processes for learning, counselling and evaluation in work communities. At that time I specialized in problem-based learning, co-operative learning and learning at work. Slides: Mobie Zine Publications and How to Use OnEdu Forms? Examples of Mobie Zine HTML5 electronic publication system: Ministry of Finance: Economic Survey, Summer 2017; The World Gymnaestrada 2015, - Volunteer Manual (in English, in Spanish). Mobie eSmart includes H5P content types for creating interactive content. Here you can view examples of almost all H5P tools and there are also good tutorials available. My slides (Feb 2018) show how and what kind of content you can easily create to Moodle. Tools are same in Mobie eSmart and they can even be imported to/from other environments. On July 2017 I trained new university teachers in Chongqing in China. I worked with a colleague TAMK lecturer Hanna Saraketo and interpreter Li Zhang. I wrote three blog post in Finnish language: Ensikertaa Kiinassa, Chongqing, hot pot ja munakoiso and Kiinassa opettajia kouluttamassa. Footprints across Europe, Erasmus KA2, City of Akaa 4.-5.4.2017; Slides and Padlet. This is a really great work and real innovation, I am impressed by the diversity of your work!